Aug. 25, 2014 - A number of high-profile Republican lawmakers appeared on Sunday talk shows with a similar quesion: What strategy does President Obama have for defeating the Islamic State before more American lives are lost to the terrorist group? The dignitaries included Arizona Senator John McCain, New Hampshire Republican Sen. Kelly Ayotte, South Carolina Republican Sen. Lindsey Graham, and Michigan Republican Rep. Mike Rogers, chairman of the House Intelligence Committee. "There is no boundary between Syria and Iraq. Oone of the key decisions the president is going to have to make is air power in Syria. We cannot give them a base of operations. And we have got to help the Free Syrian Army." A senior Western intelligence official told Fox News that 23-year-old London rapper Abde Majed Abdel Bary is the suspect believed to be Foley's executioner. Bary's father, who was born in Egypt, is in prison in the United States for his alleged connection to Osama bin Laden and the 1998 U.S. Embassy bombings in Africa. Bary traveled to Syria last year to fight with ISIS. "ISIL is as sophisticated and well-funded as any group that we have seen. . . They're beyond just a terrorist group. They marry ideology, a sophistication of strategic and tactical military prowess. They are tremendously well-funded." Hagel added that this threat is beyond anything that we've seen, and because of that, we must prepare for everything. WSJ Editorial: Will Obama Do What it Takes to Defeat ISIS? Aug. 21, 2014 - An editorial in the Wall Street Journal commended President Obama for his passionate rebuke of the Islamic State (or ISIS) after the beheading of American journalist James Foley. The president denounced the jihadists for rampaging across cities and villages and killing innocent civilians, including Sunni and Shia Muslims as well as religious minorities and Christians. "All of this is horribly true," the Journal editorialized. "It was also true a year ago. The question now � what the world wants to know now, Mr. President � is what are you going to do about it?" The article opined that the President must turn from his fixation on ending President Bush's wars, and do what is necessary to defeat ISIS, which has declared war against us. Military analysts and U.S. lawmakers say the apparent beheading of an American journalist by Islamic State terrorists should be a wake-up call to the need to dismantle the organization which has taken root in Iraq and Syria. A video has been released purportedly showing the beheading of American journalist James Foley. This is the first time the Islamic State has killed an American citizen. They are now threatening to kill another American journalist if President Obama continues to conduct air strikes against them. House Intelligence Committee Chairman Mike Rogers, told reporters that the video underscores the need to develop a clear strategy for defeating the terrorist group. He said the Islamic state is dangerous and should be dismantled. Aug. 18, 2014 - According to Iraqi military spokesman Lt-Gen Qassim Atta, Kurdish forces, supported by US air strikes, have reclaimed the dam near Mosul - Iraq's largest. However, journalists in the area said fighting was continuing and jihadists remained in control of the main gate. An Islamic State statement also contradicted the military's claim, saying it had repelled Kurdish fighters and inflicted heavy losses. Iraqi Prime Minister Nouri Maliki has agreed to step aside, ending political deadlock in Baghdad as the government struggles against insurgents. Reports say he will back Haider al-Abadi, who has already been asked by Iraq's president to form a government. Aug. 13, 2014 - Defense Secretary Chuck Hagel announced the deployment of an additional 130 "advisers" to northern Iraq. He said, "This is not a combat boots on the ground kind of operation." The personell are Marines and special operations forces. Their task is assess the humanitarian crisis in the Sinjar mountains and ways to end it. Aug. 12, 2014 - Army Lt Gen William Mayville, a senior Pentagon planning officer says that the current air strikes will not stop ISIS (ISIL). He believes that ISIS will "look for other things to do, to pick up and move elsewhere." Aug. 11, 2014 - In Iraq, a government official lamented the plight of civilians who are being slaughtered by the ISIS terrorist group. ISIS claims to be a new Islamic caliphate and is now calling itself simply �The Islamic State.� Lindsey warns that if they take complete control of Syria, or its other targets -- Jordan and Lebanon -- this radical caliphate will be next door to Israel. At this time Lebanon's Hezbollah is helping Syria resist ISIS. Hezbollah is Shi�ia Muslim while ISIS is Sunni Muslim, which makes them practically mortal enemies. Since ISIS is now stirring in Lebanon, Hezbollah may have to withdraw and return home to defend Lebanon. If that happens, Syria�s fall is more likely. A second airdrop of food and water was also accomplished by U.S. forces. Three planes dropped more than 28,000 meals and more than 1,500 gallons of water for refugees stranded in Iraq's Sinjar mountains. The Pentagon said American aircraft attacked artillery that was being used in northern Iraq against Kurdish forces defending the city of Irbil. President Barack Obama authorized air strikes on Thursday, but said he would not send US troops back to Iraq. President Obama has approved a mission to to drop humanitarian aid in Iraq for the 40,000 or so religious minorities stranded on a mountaintop in the country's north after Islamic militants forced them to flee. The air drop has already taken place. C-130 and C-17 cargo aircraft participated, escorted by F-18 fighters. Aug. 7, 2014 - It had been reported that militants from the newly formed Islamic State (formerly the Islamic State in Iraq and Syria, or ISIS) had taken control of Iraq's largest hydroelectric dam, which is on the Tigris River just north of Iraq's second largest city, Mosul. However, fierce resistance by the Kurdish forces there kept the dam from being overtaken, and reinforcements arrived early Monday morning. July 23 - Having established a reputation for extreme violence, the Islamic State jihadist group continues to capture more areas in its march toward Baghdad. They capture key families in an area and then threaten to kill them unless the local government give up control of their towns. U.S. military and Iraqi security officials estimate the Islamic State has at least 3,000 fighters in Iraq, rising towards 20,000 when new recruits since last month's blitzkrieg are included. July 2, 2014 - Abu Bakr al-Baghdadi, claiming to be caliph of the new "Islamic State," carved out from the terrorist advances in Syria and Iraq, issued a call to Muslims everywhere to join the jihad [holy war] and be part of a "new era" in which Muslims will ultimately triumph. July 1, 2014 - A witness driving by the oil refinery in Beiji, Iraq, claimed that the flag of the ISIS militants flew over the facility, However, government forces say they stilll hold the complex and are in regular contact with Baghdad. "Israel could provide effective and reliable assistance to moderate Arab states who are dealing with extremists." Jun. 27, 2014 - Two days ago Syrian warplanes bombed Sunni militants� positions inside Iraq, sparking concern that the Iraqi crisis could become a wider regional conflict. Iran has been flying surveillance drone in Iraq. Jordan, Kuwait, Saudi Arabia and Turkey all conducting recon flights inside their own airspace. U.S. Secretary of State, John Kerry, warned othese nations to stay out of Iraq. Meanwhile, a new insurgent artillery offensive against Christian villages in the north of Iraq sent thousands of Christians fleeing from their homes, seeking sanctuary in Kurdish-controlled territory, Associated Press reporters who witnessed the scene said. 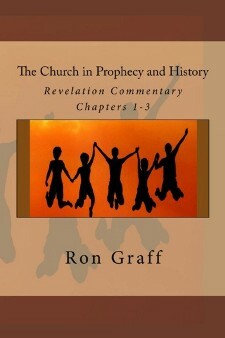 Did The US Build The Antichrist�s HQ? � New Babylon? Jun. 26, 2014 - Events in Iraq could signal the formation of a new Islamic caliphate, or empire. Ancient Babylon's ruins are on the outskirts of Baghdad. Saddam Hussein had done extensive rebuilding of the site before he was deposed and ultimately killed. There is now a large tourist resort in that area. The US Embassy is also in Baghdad, and the writer of this article suggests that it could be a suitable headquarters for the future Antichrist. We need to remember that US Embassy in Iraq is the most �wired� technically as well as battle ready fortresses in all the world. It is also larger than the Vatican State. 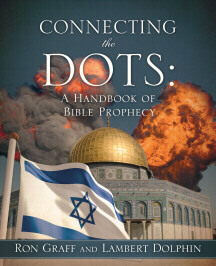 Editor's Note: Prophecy Central generally reports developments that demonstrate the European Union's influence toward the prophecied one-world government of the End Times, but some of our friends and fellow-prophecy-students, including Ray Gano, propose that the final evil government will be Islamic and Antichrist could be a Muslim. Jun. 25, 2014 - Iraqi Prime Minister Nouri al-Maliki has rejected the concept of a unity government, saying that it would be contrary to the nation's constitution and the results of its recent elections. Both [US Secretary of State John] Kerry and President Barack Obama have been urging Iraq to install a government that is inclusive of Iraq's Sunni and Kurdish minorities. Maliki's Shi'ite-led government has faced criticism of sidelining the minorities and breeding sectarian tensions. Jun. 23, 2014 - Many of Saddam Hussein's top generals, and others who are loyal to his Baathist party, have quietly maintained their goal of reclaiming their country. Now they have found a formidable ally in the ISIS jihadis who have taken over much of Iraq in a blitz, and are threatening to invade Baghdad. "[We are] unified by the same goal, which is getting rid of this sectarian government, ending this corrupt army and negotiating to form a Sunni Region,� a senior Baathist leader told FoxNews.com. Jun. 23, 2014 - As Iraqi towns continued to fall to the advancing Sunni insurgents, U.S. Secretary of State John Kerry flew into Baghdad for a series of meetings with Iraqi leaders. During this trip the U.S. team switched their terminology for the ISIS rebels. Initially they were calling them "a highly capable and sophisticated terrorist organization [that] is also essentially a criminal syndicate." They now refer to the attackers as an "army." Jun. 22, 2014 - On Friday the Islamic State in Iraq and the Levant (ISIL) continued its occupation of Iraqi areas by invading al-Qaim, a key border town. Sunni fighters have seized a border post on the Iraq-Syria frontier, security sources said, smashing a line drawn by colonial powers a century ago in a campaign to create an Islamic Caliphate from the Mediterranean Sea to Iran. Jun. 20, 2014 - The radical Islamic State in Iraq and the Levant (ISIS) has continued its blitz advance through Iraq, and has now captured Iraq's largest oil refinery. In addition, they have occupied a massive chemical weapons complex. ISIS fighters on Thursday seized the al-Muthanna complex, located 60 miles north of Baghdad, which was a central base of former Iraqi dictator Saddam Hussein's chemical weapons program and stores hundreds of tons of lethal mustard and sarin gas, reports the Telegraph. Jun. 19, 2014 - Today a string of Senators spoke today against the Obama administration's foreign policy in the Middle East and their response to the growing Iraq crisis. "These recent events ... are not intelligence failures. They are policy and leadership failures," Sen. Saxby Chambliss, R-Ga., said, claiming the president's Middle East policy has "totally unraveled." Sen. Lindsey Graham, R-S.C., said that the decision to withdraw entirely from Iraq had caused the current crisis. Jun. 18, 2014 - President Obama is reportedly leaning toward sending approximately 100 special forces into Iraq to train their military. White House officials stress that several options remain on the table and no decision has been made. But the president reportedly has, for now, ruled out using airstrikes against the Al Qaeda-inspired Sunni Muslim insurgency. Jun. 16, 2014 - The U.S. may have direct talks with Iran about cooperation in the Iraq crisis. Iran is a Shia nation--opposed to the rebellion by Sunni terrorists in Iraq. The deliberations come as the U.S. moved more assets into the region in preparation for a possible mass evacuation of Americans. According to U.S. Navy officials, the USS Mesa Verde is moving into the Persian Gulf with about 500 Marines on board. The USS Mesa Verde is an amphibious transport ship. It will be the fourth U.S. Naval vessel to enter the Gulf. The others are the USS George HW Bush, an aircraft carrier, the USS Philippines Sea, a cruiser, and the USS Truxton, a destroyer. Jun. 16, 2014 - The threat to Baghdad by ISIS has been slowed by the mobilization of the Iraqi military and Shia militant groups. Iraq's most senior Shia cleric, Grand Ayatollah Ali al-Sistani, has issued a call to arms to fellow Shia, and there are reports that thousands have already joined militias. The U.S. has an aircraft carrier in the Persian Gulf. The Kurds in the northern part of Iraq and the Iranians are also helping stem the uprising. Source: BBC Note: ISIS stands for The Islamic State of Iraq and the Levant--Some are calling it The Islamic State in Iraq and Syria. It is an offshoot from al-Qaeda. Jun. 14, 2014 - Iraq is on the brink of disintegration. Private companies are withdrawing workers who are in danger of kidnappings or attacks. The United States rushed Thursday to evacuate hundreds of Americans from Iraq and was desperately making plans to rescue thousands of others as advancing al Qaeda-inspired forces vowed to attack Baghdad and topple the government. The Islamic State in Iraq and Syria has thrived and mutated during the ongoing civil war in Syria and in the security vacuum that followed the departure of the last American forces from Iraq. ISIS is in the process of creating an Islamic state across Sunni areas of Iraq and in Syria. Because of the collapse of state authority it has suddenly taken control of hundreds of square miles from Syria's Mediterranean coast to south of Baghdad. Iran Deploys Forces to Fight al Qaeda-Inspired Militants in Iraq - Wall Street Journal - Ed. Note: Iran is opposed to ISIS because ISIS wants a Sunni alliance (caliphate), while Iran would build a Shia' alliance. Jun 12, 2014 - Follow the rapidly developing revolution in Iraq. Sunni terrorists threaten to overturn the government! Iraq Crisis: What is ISIS? The Islamic State of Iraq and the Levant, which dealt a spectacular blow to Baghdad's Shiite-led government by grabbing Iraq's second city Mosul, now poses a threat across the Middle East. Jun. 11, 2014 - An al-Qaida inspired group took control of Mosul, Iraq's second-largest city, yesterday. Today a second key city, Tikrit suffered the same fate. Islamist militants overran the northern Iraqi city of Tikrit and freed hundreds of prisoners from its jails on Wednesday, as rebels seized a second key Iraqi city in as many days and further destabilized the government of Prime Minister Nouri al-Maliki.